Design firm John Wardle Architects have been announced as the group responsible for designing the Victorian Government's new $47.8 million "Gov Hub" precinct in the heart of Ballarat’s CBD. Ballarat GovHub will be home to up to 1,000 government employees, including 600 public sector positions new to the city, consolidated with 400 Ballarat-based positions. The new building will be integrated into Ballarat's Civic Hall precinct while delivering modern offices for government employees – creating contemporary work spaces and allowing for greater flexibility and use of technology. John Wardle architects were recently awarded the prestigious Eleanor Cullis-Hill award for residential architecture at the Australian Institute of Architecture's 2017 National Architecture Awards. The Andrews Labor Government believes that the new precinct will revitalise a major part of Ballarat’s CBD and promoting growth in the local economy. “With up to 600 professional jobs coming to Ballarat, we will build the diversity of jobs on offer and help provide career pathways for locals, while attracting more people to live in regional Victoria," Minister for Regional Development Jaala Pulford said. 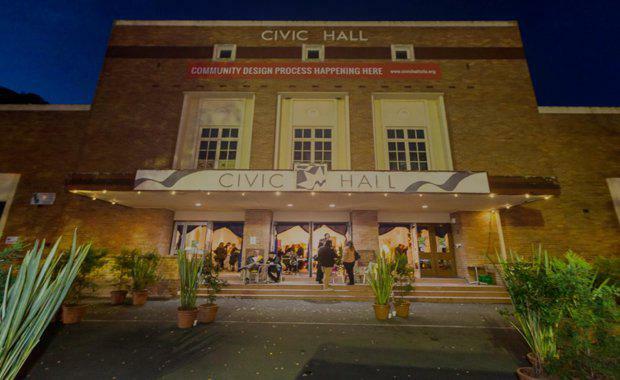 The team from John Wardle will work closely with Baumgart Clark Architects, who have been engaged by Ballarat City Council to lead the refurbishment of Civic Hall. [Related reading: Ballarat Station Precinct Approved for Redevelopment]The community and local businesses will have an opportunity to view the concept design, speak with the architects and the design team, and provide feedback at a community consultation session on Saturday 2 December. An online feedback process will also be available to the community. “Ballarat’s new GovHub will revitalise the Civic Hall site and the community will be able to view the designs in the coming months," Member for Buninyong Geoff Howard said. The GovHub project will begin in mid-2017 with an expected completion date in 2020.